Those who suffer with fibromyalgia have one goal. The goal is to get their life back to normal. Those who suffer with this illness wish to be able to get back to the life they once had. They are tired of being fatigued, of being in pain to the point that they cannot do those things that they once did. It is a hard life for those who suffer with this illness simply because they are going to find that their lives are changing and it may not be for the better. Once you are diagnosed with fibromyalgia, it then becomes a task of finding the right specialist to help with treatment options and talking through your plan for dealing with this illness. The main decision that many fibromyalgia sufferers find is that they are having to choose between dealing with a neurologist or dealing with a rheumatologist. Both have pros and cons about using these, but which one is the best? A neurologist specializes in anatomy, function and organic disorders of the nerves and the nervous system. For those who have done their homework on fibromyalgia, they are going to find that most medical professionals find that fibromyalgia is a nerve disorder that forms. Thus, working with a neurologist makes sense for many patients. A rheumatologist deals with musculoskeletal diseases and systemic autoimmune conditions. These are conditions that affect the muscles, bones and joints causing pain, swelling and stiffness throughout the body. Thus, with this definition in mind, it does make sense to work with a rheumatologist for those who have fibromyalgia. What is interesting is that neither specialist really wants to claim fibromyalgia as a condition that they treat specifically. Why is this? There are various schools of thought as to why these specialists are not wanting to claim this illness for themselves. Why aren’t neurologists interested in treating this illness? For one, it is difficult to treat, which has been proven over the past forty or so years in which other specialists have been trying to treat this and not finding much success. Another complex issue that neurologists are disliking is the fact that there are no real treatment plan outlines for a patient. Instead, there are options and each treatment option must be taken into consideration for the person. For many neurologists, the idea of dealing with an illness that is going to be hard to treat and nearly impossible is too much. Thus, the field of neurology is not claiming that they can completely solve the fibromyalgia illness. So, what is the excuse that rheumatologists are giving? Ever since fibromyalgia was first diagnosed, it was rheumatologists that took this illness as their own. And from their numerous years of treating this, they have found that some of their treatment plans are working, while others are not. And many of these professionals are finding that after intensively studying this illness have found that it may be more neurological than what they previously thought. Whether neither specialist wanting to claim fibromyalgia as something that they treat, it makes many people with fibromyalgia wonder just who should they see? The answer: both. Most fibromyalgia patients find that it is best if they see both medical professionals. Why is this? It allows a patient to get the best possible treatment plan that is out there. Which is exactly what a person needs in order to ensure that they are getting the most out of their life, and not letting this illness rule their life! 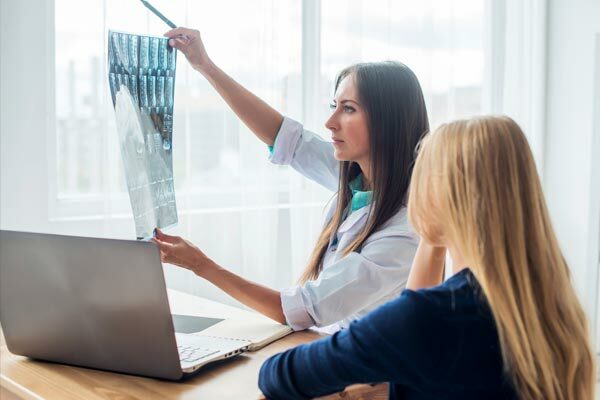 When seeing a rheumatologist, a patient will find that they can be great with dealing with the pain and providing treatment options that are going to help deal with the joint pain that may be felt. However, those who see a neurologist will find that anti-depression medications and other types of medications can often be prescribed to the patient to help deal with many elements of fibromyalgia. Be sure that you are talking to each professional about recommendations that are being given by each medical professional. This will ensure that there is no overlapping medications being given and the like. Consider more alternative methods of treatment like cognitive therapy or exercise routines that are known for helping with the pain and flexibility issues that people have with this illness. Be active in your treatment plan. Do not let each professional tell you what to do, this is your life and your body, thus you do have some say so in what you do and do not decide to do. Massage Therapist’s: These medical professionals could help you to feel better after getting a massage. In fact, studies have shown that massage is a great addition to a medication treatment plan. Acupuncture: Acupuncture has been given a lot of credit when it comes to help with painful tender or trigger points in those who have fibromyalgia. Pain Specialist: If pain is the main issue that you are dealing with when you suffer from fibromyalgia, then a pain specialist could be a great professional to have on hand, as they can advise on different methods, not only pharmaceutical, for treating the pain. Fibromyalgia is not something that you have to try to manage on your own. While it does require that a person have the willpower to go through each day, it is just as important to have the medical staff on hand that can help you. Finding the right professionals will take time, but you must use your own judgement as to which ones should be included in your care plan. I like how you mentioned that neurologists specialize in the function of the nerves and nervous system. My mother is starting to show symptoms of Alzheimer’s, and I want to make sure she gets the treatment she needs. It sounds like that would fall under a neurologist’s expertise, so we’ll have to find one of those to take her to.